Sometimes a criminal defendant’s best choice of action is to agree to cooperate with the federal government through the process of a proffer agreement. 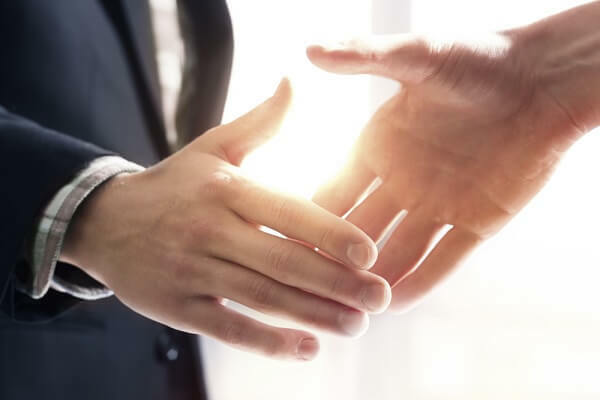 Based on our collective years of experience in criminal law, we often advise clients to consider a proffer agreement when they are caught in either of the two following situations. First, a proffer agreement may be the best solution where the evidence against a client is overwhelming and there is no clear way to rebut it. One example of this type of situation would be where the client is caught selling drugs to an undercover agent, the entire transaction is recorded on film by the government, and the client admitted to committing the crime when confronted with the video. Second, where the risks of going to trial are significant, and the government is offering meaningful credit for cooperation, it may be in the client’s best interest to cooperate with the prosecuting agency. 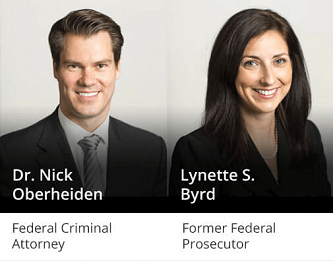 Generally, offered credit is deemed meaningful where the government agrees not to charge our client with a crime, agrees to charge him with a lesser offense, or agrees to eliminate or minimize a sentence of incarceration in federal prison. Purpose. Cooperation primarily occurs through a proffer interview. A proffer interview is a meeting between the government prosecutor and the suspect or defendant. Typically, a proffer meeting will take place at the U.S. Attorney’s office in the relevant district and will include the investigating federal agents. The defendant has the right to be, and at all times should be, represented by counsel at the meeting. Prior to the meeting, the prosecutor will usually deliver a proffer letter, or “queen for the day” letter, to the defendant, which guarantees a “use immunity” for any information disclosed during the course of the proffer interview. In exchange, the defendant will be expected to disclose all verbal or written information the defendant has concerning the alleged crime, including electronic information, statements, records, emails, videos, texts, or documents that may be useful to the government in its investigation or prosecution. Importantly, proffer interviews are not available to any defendants who have a history of violent crime or who have been accused of a violent crime. Disclosing Information. As a prerequisite for participating in a proffer agreement, the government mandates that the defendant disclose everything he knows about the crime under investigation and any other participants in the crime. The defendant must be fully forthright and truthful in with respect to every statement he makes, and he must neither exaggerate nor minimize either his own role or the role of anyone else involved. In other words, a defendant should not engage in a proffer meeting if he intends to proclaim innocence or place blame on another; such a strategy is better suited for trial. The essence of a proffer agreement is a defendant’s willingness to voluntarily incriminate himself in exchange for a meaningful benefit from the prosecuting authority. False Statements. Any false statements provided by a defendant during a proffer meeting can and will be used against him in subsequent legal proceedings. The government will review the disclosures and compare them to the information, arguments, representations, and other evidence they have compiled from third parties to determine whether they are false or misleading. If the government determines a defendant was dishonest regarding his disclosures, they have the right to use the proffered statements for the purposes of impeachment or cross-examination of the defendant. Moreover, the government may present any information obtained through the proffer meeting as evidence against the defendant during trial or at a sentencing hearing. Finally, any false statements or material omissions provided by the defendant during a proffer meeting are considered “false statements to a federal agent” pursuant to 18 U.S.C. Sect. 1001, thereby subjecting the defendant to additional grounds for prosecution independent of any underlying drug charges. In light of the grave consequences for providing false statements, the government prosecutor will typically emphasize the importance of full and accurate disclosure at the onset of the proffer meeting. Benefits to the Defendant. A proffer agreement is typically offered to a defendant who would be eligible for a favorable sentencing recommendation in the hopes of making him a cooperating defendant. In other words, the government may offer certain benefits to the defendant in exchange for his proffer of true, valuable information. For example, the government may agree to not use the proffered information against the defendant for the purposes of prosecution or enhancing the offense level of any ultimate conviction. Importantly, notwithstanding any such agreement, the government can still seek enhancements of the offense level based on other factors contained in the sentencing guidelines. Derivative Use. Importantly, proffer agreements do not prohibit the government from making derivative use of any of the information disclosed by a defendant during a proffer interview. Stated differently, the government may use the information received via proffer to pursue investigative leads suggested by the defendant, his statements, or any other information provided. Any and all information gleaned from this subsequent investigation can be used against the defendant in later proceedings, without leave of court, notwithstanding the “use immunity” provided to the defendant during the proffer interview. If you are a target or a defendant in a federal investigation and you are considering cooperating with the government or have been offered a proffer or “queen for a day” letter, you need to hire experienced defense counsel who understand the proffer process and can effectively advise you as to whether you are a good candidate to enter an agreement with the government. ← What Are the Sentences for Cocaine Charges in East Texas?